When a natural tooth has been lost due to injury or disease, dental implant is the best solution. 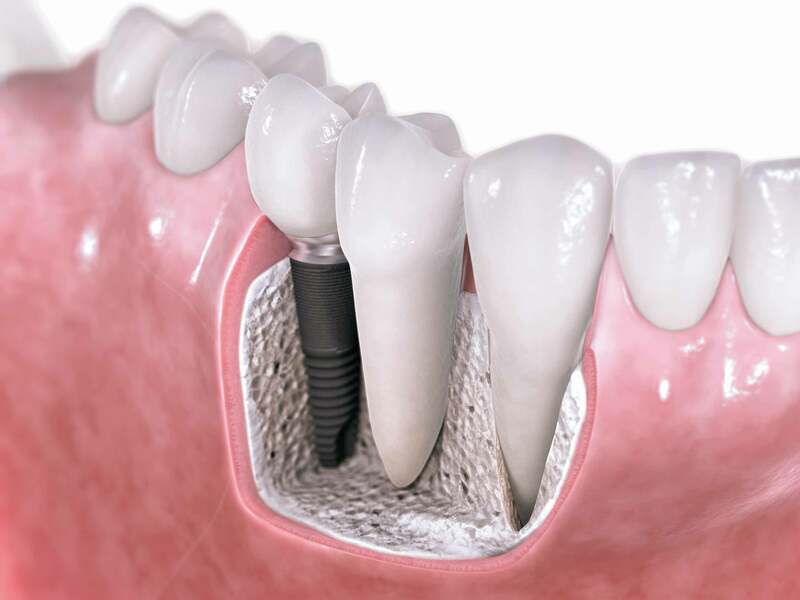 Dental implant can take the place of a missing tooth, providing the strength and structure you need in daily life. They are comfortable and look like natural teeth. The main advantage of this form of treatment when compared to bridges and dentures is that a missing tooth or teeth can be replaced without the need to involve or damage the adjacent teeth. Here at Hummingbird Dental, our dentists have all the knowledge and experience necessary to provide a smooth transition from tooth loss to the addition of a dental implant. Made up of a material called titanium, dental implant is embedded into the jaw bone to replace the roots of natural missing teeth. 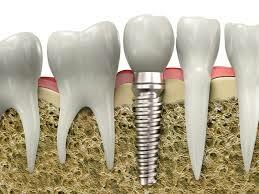 Once it fuses with the bone, a replacement tooth is secured at the top of the implant. This procedure is a step by step process that starts with the initial placement of the implant into your jawbone. After about three to six months, an impression of your teeth is taken so you can get a custom replacement that results in the final goal: a brand new tooth that looks completely natural. Dental implants generally last for life if you take care of them. Statistics show a success rate of nearly 95% for individual implants and even higher for the bridges they support. 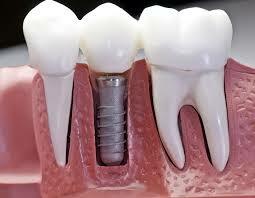 You may be surprised to learn that you will experience a very little discomfort when getting a dental implant. In most cases patients do not even end up taking the pain management medication which has been prescribed to them at the time of the procedure. Rely on our professionals to help you not only improve your smile, but also your overall oral health with long-lasting results. Let Hummingbird Dental restore your smile with a state of the art approach to dental implants. Give us a call today! Would you like to find out more about Dental Implants including costs and treatment options? Call us today and schedule a consultation. Not ready for your visit yet? You can always speak to one of our team members over the phone. We will be happy to help you over the phone or in person!